Raleigh, NC is the capital and second largest city in North Carolina. It's nickname, "The City of Oaks" comes from it's beautiful tree-lined streets in the city's heart. Being one of the 13 original colonies (and the first to call for independence! ), Raleigh's rich history beckons both old and young alike. This heritage has provided a solid foundation for steady growth as Raleigh, NC continues to stay cutting edge with developments and technology year after year. Another factor in Raleigh, NC's growth and success is its proximity to the Research Triangle and prestigious North Carolina universities, and the abundant resources available in the area. Among a growing list of accolades, Raleigh is ranked by Forbes magazine as "#2 Best Place for Business and Careers," "#1 America's Most Wired City" and "#1 America's Safest City." Whether you are looking for a flourishing and dynamic work environment to build your career, a safe and thriving community to raise your family, or rich cultural experiences to enjoy well into retirement…Raleigh, NC offers these opportunities and so much more! Raleigh, NC was first home to the American Iroquoian, Siouan, and Algonquian tribes. The area around Raleigh was later settled mainly by the British as exploration into the New World began. After the American Revolution, because of its more defendable inland position, Raleigh was chosen as the new capital city (the original being the coastal town of New Bern). Raleigh is unique because it is one of the few cities in the US specifically planned and built as the capital. Prosperity followed Raleigh, NC over time, but it was the opening of Research Triangle Park in 1959 that began the population boom responsible for much of the city's modern growth. Continued developments to the infrastructure of the city including high speed rail and commuter rail lines ensure that the growth of Raleigh will advance well into the 21st century. 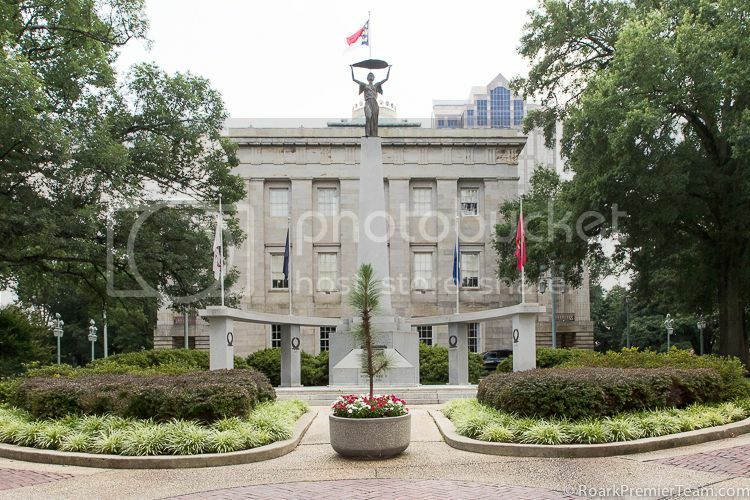 The city of Raleigh, NC offers everything you could expect in a thriving metropolitan area. Several shopping centers and malls bring offerings for every budget. Crabtree Valley Mall,Triangle Town Center,Cameron Village,North Hills, and Seaboard Station are just a few of the many shopping centers available. Along with the big names, you can explore the quaint collection of shops at the historic City Market and explore shopping in downtown Raleigh. There are visual and performing arts classes as well as diverse cultural programs available at the Pullen Arts Center,Sertoma Arts Center, and twenty five community centers with a variety of other offerings for young and old alike. For those interested in the active lifestyle, the city of Raleigh offers a convenient park locator site to find activity centers, ball fields, disc golf courses, boating, or other outdoor activities at one of the many parks in the area. Yates Mill County Park is a popular park featuring a historic mill and horseback riding and fishing (among other activities) are available at the scenic Umstead State Park. In addition to the parks, several specialty facilities like the Capital City BMX Track,Marsh Creek Inline Hockey Rink & Skate Park,Millbrook Exchange Tennis Center,Walnut Creek Softball Complex, and Buffaloe Road Athletic Park provide a fun place to enjoy your sport of choice. There are also aquatic facilities at the Buffaloe Road Aquatic Center, Millbrook Pool, Optimist Pool, Pullen Aquatic Center and several pools open seasonally. Cyclists will appreciate that the city of Raleigh, NC was awarded bronze level status as a bicycle friendly community by the League of American Bicyclists due in part to Raleigh's access to several bicycle route systems like the Maine-to-Florida U.S. Bicycle Route 1 and N.C. Bicycle Route #2. Raleigh, NC is located almost completely within the borders of Wake County, and is part of the Wake County Public School System, NC's largest school system. Many private schools offer other options for schooling, and you can visit Carolina Parent magazine for a directory of private schools in the Raleigh, NC area. Furthermore, Raleigh, NC is home to NC State University, with Duke University, and the University of North Carolina at Chapel Hill both located within 25 miles of the city. 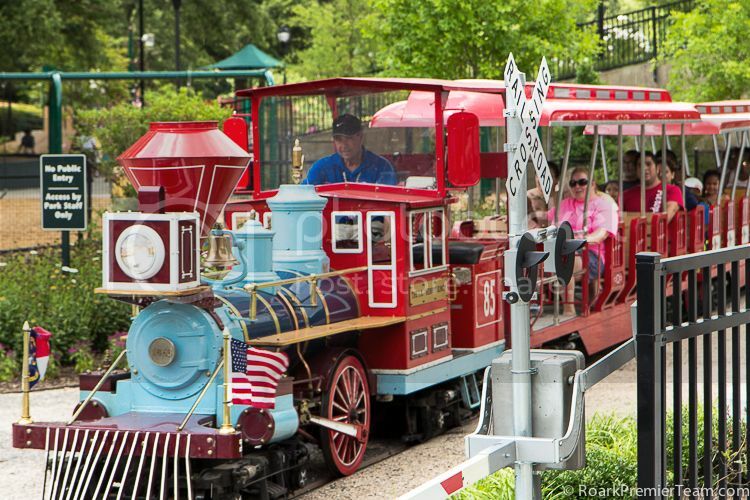 There are far too many things to do in Raleigh, NC to list, but here's a sampling of what can be found in and around town for the whole family! Raleigh, NC is home to the NC Symphony, which can be heard at the Meymandi Concert Hall at the Duke Energy Center for the Performing Arts. The Center also hosts Broadway and theatre showings, other live music and much more! Pullen Park is a beautiful park of 66+ acres that is so much more than just a park with playgrounds, an arts center, aquatic center, community center and a built-in amusement park! Several must-see museums in the Raleigh, NC area include The North Carolina Museum of History, the North Carolina Museum of Art,Marbles Kids Museum, and the North Carolina Museum of Natural Sciences which you can read about in more detail on our real estate blog. Live concerts, festivals and more are offered year round at the Red Hat Amphitheater set in the heart of downtown Raleigh or at Time Warner Cable's Music Pavilion at Walnut Creek. The PNC Arena is home to the Carolina Hurricanes and NC State University Men's Basketball,and hosts more than 150 events a year. Local farmers and vendors in Raleigh, NC have many offerings at the Raleigh Farmers Market. Sites on the North Carolina Birding Trail are in the Raleigh area, and are unique way to explore the natural beauty of the area. NC State Wolfpack games are played at venues including the Carter-Finley Stadium, Dail Basketball Center, Doak Field at Dail Park, Dail Softball Stadium, Lonnie Poole Golf Course, the Murphy Center, and the famed PNC Arena. Visit the JC Raulston Aboretum to see many of North Carolina's most beautiful plants at this nationally acclaimed garden. The City of Raleigh Museum is full of exhibits and artifacts showcasing Raleigh's rich heritage. The Historical Resources and Museum Program of Raleigh offers many places and programs to engage the whole family including the Mordecai Historic Park, Raleigh Trolley, Pope House, Latta House and University Site, Fred Fletcher Amphitheater and Stone Circle at Fletcher Park. Hear What Your Neighbors are Saying! Choosing Jeff and Corey was one of the best decisions we ever made. After trying to sell our house by owner for five months, we happened to meet them and knew right away they would be the ones to get our house sold. Never did we imagine how quickly that would happen, within 24 hours we had a full price offer on our home, and closed within 30 days! Not only were they a pleasure to work with, making the experience as smooth as possible, we could tell they really cared about us. They certainly go the extra mile and take customer service to a whole new level.